Nepal is often referred to as one of the most spectacular countries on earth and many say the its name is an acronym of Never Ending Peace And Love. Its breathtaking dramatic scenery is enveloped by some of the highest peaks on the planet, and its varied culture, history and traditions give you an insight to life as it were and as in many cases it always has been and always will be. Nepal is the country where extremes meet. 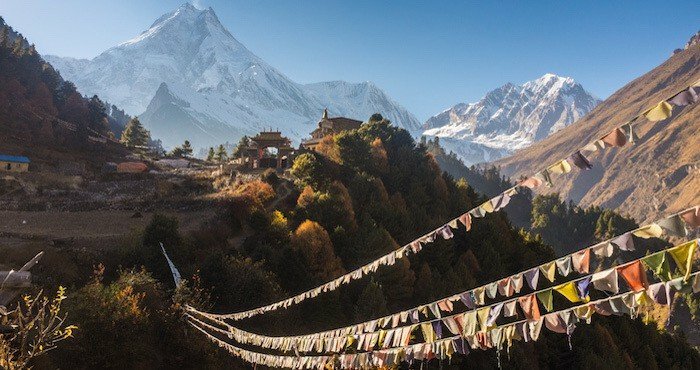 Nepal has long exerted a pull on the Western imagination from the early days of independence and the hippie trail to the more modern ideal of being able to travel and explore beyond the beaten path. Dramatic landscapes, crisp air, an unbeaten variety of culture and tradition all make for an unforgettable experience! Nepal offers it all and an endless number of surprises. The people of Nepal, with their warm welcoming attitude are just another surprise and hopefully another fantastic memory of your trip. Kathmandu and the Kathmandu valley will provide you with an exotic and urban environment. The surrounding valley is steeped in time, with its thousands of Hindu temples, Buddhist stupas, stunning architecture and rich pageantry. Beyond Kathmandu is another world all together, the truly spectacular Himalayas. 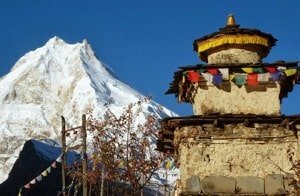 Whether you are interested in culture, religion, wildlife, breathtaking scenery, or adventure, there are a number of attractions in Nepal that will appeal to you and not disappoint, which is why for many travellers Nepal is considered paradise on earth. 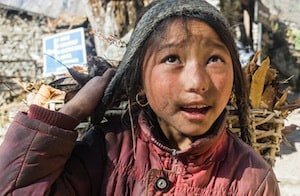 If there is a hikers/trekkers paradise Nepal would be it with its picturesque and remote mountain villages linked by hundreds of trails that have been used for centuries. The ice cold of the mountains flows down from the Abode of Snows (Himalaya in Sanskrit) to the lower hills offering a perfect environment to trek in the cool fresh mountain air. 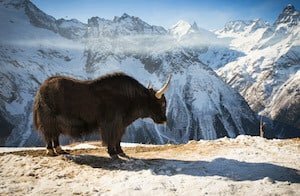 In the realm of adventure tourism in Nepal, the country has a lot more than just mountain climbing and trekking to offer, with some world class white water rafting, canyoning, paragliding, mountain flights, kayaking, and mountain biking, bungee jumping, canyon swinging or for the nature lover in you, a chance to see a tiger or the rare one horned rhinoceros or for the romantic dreamers out there, if the country of Nepal isn’t enough, why not try and find the Yeti? The diverse scenery and terrain offer tremendous opportunities for adventure activities! The rains of the monsoon can be avoided in certain areas. See our Nepal Season Guide. You can trek in Nepal all year round but you need to know which regions have the best weather. You’ll be pleased to know that we have created a handy guide to inform you of the best months to trek in each region. Find out more with our Nepal Trekking Region Guide. The Nepalese rupee is divided into 100 Paisa. Away from the major centres changing the larger denomination notes can be difficult, so it is always useful to change up some of the larger notes that you have and to keep a supply of the smaller notes. There are ATMS in Kathmandu and Pokhara which are open 24 hrs and accept Visa and MasterCard, however frequent power cuts can affect the ATM machines working hours, so it is advisable to use one when you see it working. It is always a good idea to let your bank know that you may be using your card in Nepal so that they will not suspect fraud and freeze your card. Major credit cards will be accepted at the mid range and better hotels, restaurants and shops in Kathmandu and Pokhara only and there will be a levy. One of the most noted annoyances are the motorcyclists and the limpet-like hash/tiger balm/ chess set sellers. There are quite a few scams aimed at tourists around Kathmandu examples of which include deals offered by gem dealers, credit card scams and low level scams. There is also some low level petty theft (though very rarely violent) in Kathmandu and other tourist areas. Normal care and vigilance should be taken to avoid these. Kathmandu is frequently the focus of political demonstrations, strikes and occasional curfews. These generally just affect transport but are best avoided. The people in Nepal are as varied and complex as the country itself, with numerous and complex ethnic divisions. It is the perfect place to experience and see a wide range of ethnic groups including the Limbu, Lepcha, Newar, Sherpa, Tamang and Gurung to name but a few. There are three main cultural zones running from East to West, the North including the high Himalaya, the Middle Hills and the Terai. Each group has adapted its nature, culture, and lifestyle to the environment but in true to all things Nepalese they have retained their own traditions. Culture is embedded in Nepal, tradition flows with its rivers, art and history through its valleys and religion lies in the heart of all its people and all are part of the life of the Nepalese. The people of Indo-Aryan community are the original inhabitants of Nepal and their descendents still form the majority now, however other major groups have found and made their home in this beautiful country and coexist as neighbours. The two major groups in Nepalese society are the Tibeto-Burmans, or Mongoloids from the North and the above-mentioned Indo-Aryans from the south, although many customs have subsequently been inherited from both sides and have developed over time due to influences including land, climate and available resources. The ethnic groups speak between 24 and 100 different languages and dialects, and although Nepali acts as the unifying language less than 50% of the people speak Nepali as their first language. Nepal has a population of over 26 million people made up of over 40 different races and tribes and is often described as the country which time forgot. The Nepalese are friendly and hospitable by nature and travellers often consider them to be the most warm and welcoming. The definition of hospitality here goes far beyond your wildest imagination and you will be welcomed into homes across the country with a smile and a warm cup of tea, and leave with life long friends. There is a popular phrase in Nepal which says ‘Guest equals God’ and the Nepalese respect Guests as God in keeping with the phrase. In Nepal you will be able to experience first hand a family oriented society. Most of the people live in a joint family house and everything is shared with their family, meals are usually taken communally. Trekking is a fantastic way to fully experience the diverse culture that this country has to offer and has the benefit of creating a situation where you can come into direct contact with the local communities. The greeting used in Nepal is Namaste or Namaskar to an older or high-status person, you bring your palms together with fingers facing up and bring it a few inches below your chin still facing upwards. It’s safe to say that the beauty and charm of Nepal emanate not only from the dramatically stunning scenery but also from the variety of people cultures and traditions present here. Nepal’s political climate is fragile, and although there have been threats to is nascent peace process; reformers across the country have been promoting reconciliation. Nepal became a republic in May 2008 and prior to that had been ruled by monarchs or a ruling family for most of its modern history. In 1959 multi party politics was attempted however this was suspended in 1962 with King Mahendra taking sole charge. At the moment, Nepal is viewed to be at a cross roads, an open moment in its history. A decade long conflict formally ended in November 2006 and in 2008 the country voted in a Constituent Assembly, named a President, elected a Prime Minster, formed a coalition government and set about the task of writing a new constitution by 2010. There have been a few roadblocks to in this process, but as of September 2015, parliament passed a historically significant constitution, declaring Nepal a secular nation. As of 2016 Pushpa Kamal Dahal (also known as Prachanda) was elected as prime minister for a second term. Nepal covers a span of 147,181 sq kilometres ranging from an altitude of 70 meters to 8,848 meters. Around 64% of the country is covered in mountains, yet almost half of the population live on the flat plans of the Terai which account of just 17% of the landmass of Nepal. Mountains, mid hills, valleys and plains dominate the geography of the landlocked country that extends from the Himalayan range in the North to the lowlands in the south. Physical features also include green paddy terraces, wind-swept barren landscapes verging on deserts, dense forests and marshy grasslands. The country is well endowed with perennial rivers, lakes and glacial lakes that originate in the depths of the Himalayas. From the hot Indian plains and steamy southern Tarai Lowlands, the terrain crosses the Kathmandu Valley and rises to the frozen heights of the Himalayan peaks towards the Tibetan plateau known as the ‘roof of the world’. The flora and fauna in Nepal is yet another attraction to the area. In the high hill and the Himalayas travellers will be able to see rare species of rhododendron and there are over 6500 known species of tree, shrubs and wildflowers. There are now 9 national parks in Nepal in addition to the three wildlife reserves and three conservation areas meaning that over 18% of the land in Nepal is protected. Sitting at the heart of the Himalaya, Nepal is undoubtedly one of the most spectacular countries on Earth. Perhaps more special in this mystical mountain kingdom than the warm friendly nature of its people is the exceptional variety of both birds and mammals. Understandably, with its unique variety of landscapes and climatic conditions Nepal is extremely bio-diverse. Whilst these environments are home to a remarkable array of birds, reptiles, amphibians and mammals, the best opportunities to see the wildlife are in the national parks, conservation areas or high in the mountains. A number of endangered and protected species can be seen in Nepal including the Tiger, Snow Leopard, Wild Elephant, Rhino, Brown Bear, Clouded Leopard, Red Panda, Gangetic Dolphin, Wolf, Wild Yak, Pangolin, Saras Crance, and the Gharial, Pigmy Musk Deer amongst just a few. Nepal is home to a wide variety of beautiful animals, many of which it shares with India. It is home to creatures both big and small, many of which you will not be able to view in their natural habitat anywhere in the world. Over 850 species of bird are found in Nepal and almost half of these can be spotted in the Kathmandu Valley, in fact Nepal only covers 0.1% of the world’s surface but it is home to nearly 10% of the world’s species of bird including 72 critically endangered ones. Because of Hanuman, the monkey god, monkeys are considered holy and are well protected in Nepal and you will often see troupes of many different varieties. The food in Nepal is as diverse as the country itself. 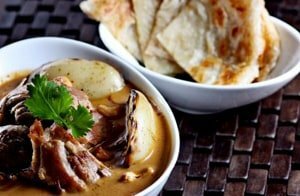 Nepalese cuisine is quite simple and is known for being extremely healthy and nutritious as well as being somewhat basic. Nepalese food makes extensive use of spices and flavourings such as ginger, garlic, coriander, pepper, cumin, chillies, coriander, mustard oil, ghee and occasionally yak butter. As with most things in Nepal, the cuisine varies according to ethnic groups and castes, depending on the ingredients available. Indian, Chinese and Tibetan flavours and influences can be detected in Nepali food although Nepal’s cuisine of course maintains its own flare. The staple diet of the population is Dal (lentils), Bhat (rice) and Tarkari (curried vegetables) and the Nepalese will eat rice and vegetables twice a day, beginning the day with a cup of tea and little else and then eating dhal bhat some time in the mid morning and then again in the evening. Popular side dishes include pickles (achar) of many varieties although the most popular are tomato achar, mango achar and cucumber achar. Other additions are chapatti (unleavened Indian bread), dahi (curd or yoghurt) and papad (popodums). The most common vegetables are potato, sag (green leaves, spinach and mustard) and chayote (squash). Due to religious reasons, you will find that beef is not eaten, although for those travellers craving a steak, the Yak steak comes highly recommended and water buffalo is the meat of choice. You will sometimes be able to have maasu (meat) with your dhal bhat, and this will usually be chicken, goat or sometimes if you are by a river, fish, and this is more likely than not, marinated in yogurt and spices and fried in oil. Another common food is momos and travellers will often strike up a debate on which is better the dhat baht or momos…. Although momos are technically Tibetan so we guess that the dhal bhat should be nominated as Nepal’s national dish. In the Kathmandu Valley, the indigenous Newars have their own unique cuisine of spicy meat and vegetable dishes, while rotis (bread) and the vast range of Indian curries, snacks and sweets comes into play in the Tarai; in the mountains the traditional diet is essentially Tibetan, consisting of Dhal Bhat. Traditional Newari food is like no other cuisine in the world! It is subtle and delicious and for the more adventurous it is definitely worth trying. Most specialities are quite spicy and based on buffalo, rice, pulses and vegetables. The Newars use every part of the buffalo for their meals including parts not often seen on Western menus. It is the only country in the world where the flag isn’t a quadrangle and its sovereignty was never in foreign hands. For Hindus it is the only Hindu kingdom in the world and according to Hindu mythology the God Shiva resides in the Himalayas. Nepal also has an actual living Goddess, the Kumari Devi who is deified in a young girl. Nepal is home to 8 cultural heritage sites recognised by UNESCO and 2 natural heritage sites. Nepal is home to 10 of the highest mountain peaks in the world, and here you can find every type of climate part from ocean and desert. The Himalayan Mountain range covers 75% – 80% of Nepal. 8 of the 14 eight-thousanders are located in Nepal including the highest peak in the world – Mount Everest aka Sagarmatha. About 150 people have died so far trying to climb Mount Everest and many of their bodies are still on the mountain. Nepal has the deepest gorge in the world, the Dana gorge situated in the Kaligandaki river of Nepal in the Western Region. Tilicho Lake is the highest altitude lake in the world, and Saligaundha is the highest fall. The Everest View Hotel is the highest hotel in the world, Changla Bhaniyang village in Humlas is the highest human inhabited village, Lukla is the highest mountain pass and the Arun valley is the deepest valley in the world. Nepal is the second richest country in the world (after Brazil) in terms of water resources. Nepal is also the birthplace of the world’s smallest man. Khagendra Thapa Magar is only 50cm/22″ tall. Lost Earth Adventures offer the opportunity for a real adventure holiday in Nepal, exploring this dream travel destination in an eco-friendly and responsibly manner.  For more information about responsible travel please read our responsible travel policy.. Copyright ©2019 Lost Earth Adventures, All Rights Reserved. Lost Earth Adventures is a Limited Company Registered in England No. 7455734. VAT No. 234433135.